Stuck in a rut with your meal planning? I’ve got 8 Food Blogs you MUST follow listed below!! Earlier this month I was so fortunate to be invited to a blogger retreat in Breckenridge, Colorado thanks to Erin from Dinner, Dishes and Desserts and Go Breck! It was a 4 day opportunity for us foodies to get together and not only share tips and tricks of the trade (you know, the behind the scenes of food blogging) but also relax and enjoy some amazing food. Go Breck hosted us in one of the beautiful rentals, Slopeside Manor. Words cannot describe how gorgeous our surroundings were…and the leaves of the Aspen were changing colors too. Stunning! While staying in Colorado, I got to know the other 8 bloggers very well. Some I had met in real life already, some I only knew online, and some I had never met or heard of. And I’m so thankful to have been introduced to every single one of them! Want to know why?? These girls are talented. Each one of them has their own unique niche and I think you, as my loyal readers, will enjoy what they have to offer. So without further ado, let’s get started! Vianney from Sweet Life. I had not met Vianney prior to this retreat, but when I heard she was going to be making our welcome dinner and drinks I was super thrilled to meet her! 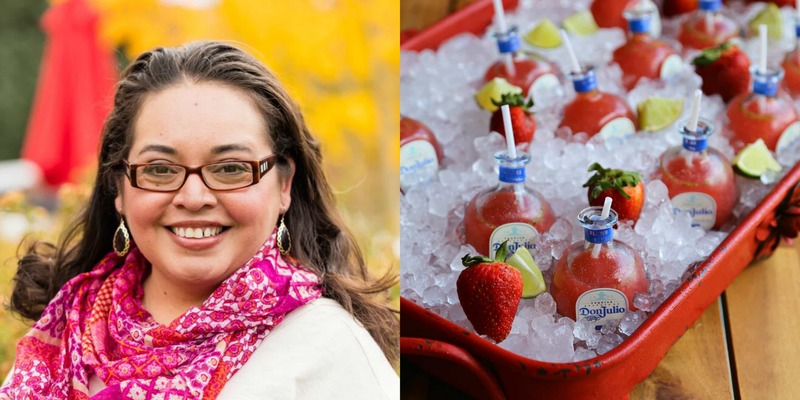 Anyone who has a whole section of Margaritas on their blog is someone worth knowing! We were fortunate enough to sample those cute little margaritas in the Don Julio bottles! Fun right? I can’t talk enough about Vianney without mentioning Yvette. The two of them wrote this amazing cocktail book, Latin Twist. I’m thrilled to try out some of these amazing recipes on family and friends this year! Yvette from Muy Bueno Cookbook. I mentioned that Yvette and Vianney wrote a cocktail book together, but they also cooked us a delicious dinner the first night in Breckenridge. Carne Asada Tacos with all the fixings! 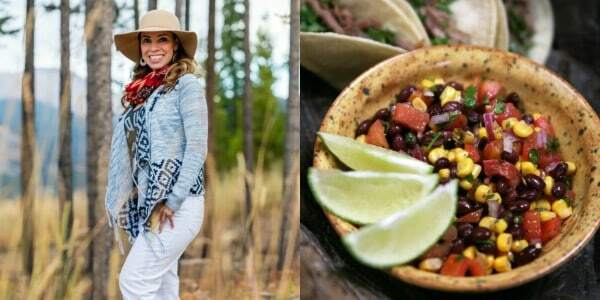 After the retreat I immediately headed over to Yvettes blog to print out her Black Bean Salad recipe. OMG it was delicious!! I then found myself printing out nearly a dozen more of her recipes. Go check them out! Becky from The Cookie Rookie. This girl takes some seriously amazing photographs. All our headshots were done courtesy of Becky and her amazing talents. Know what else she is good at? Coffee. 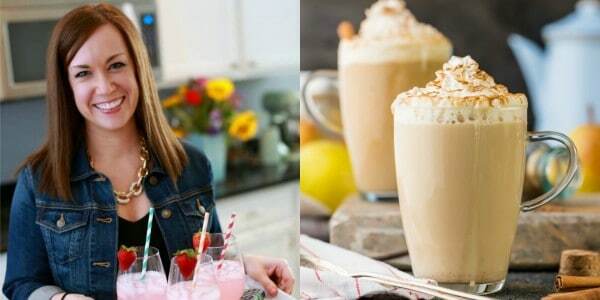 During the weekend she talked about how she had made an incredible Pear Spice Latte. 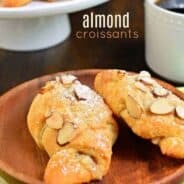 I stalked her blog for days until she finally posted the recipe! Ya’ll know how I feel about my coffee around these parts! 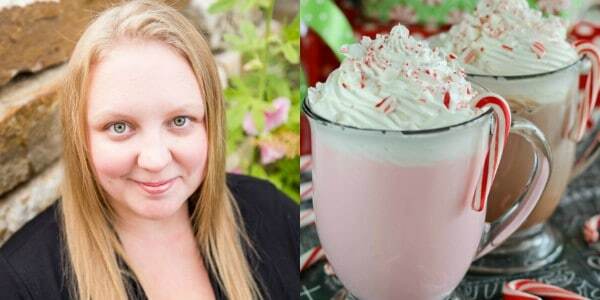 Becky has other delicious dishes on her blog, and her pinterest page is enough to make you drool! Don’t say I didn’t warn you! Courtney from Sweet C’s Designs. She is like my other half I never knew existed. She is funny, and quirky, and totally gets my sarcasm (even when it’s lame). She is also an incredible photographer, and you’ll see my updated ABOUT ME page soon (complete with new photos thanks to Courtney)! 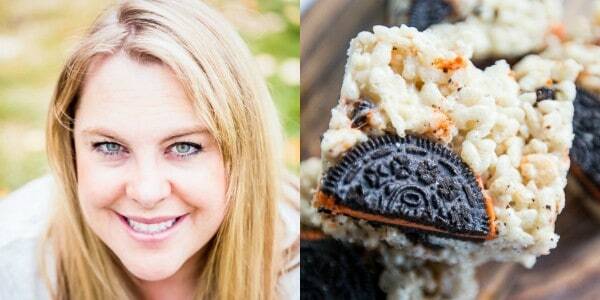 And since you all know how much I devour adore Rice Krispie Treats, I find it only fitting that Courtney shared some Halloween Oreo Krispie Treats on her blog last week! YUM. Courtney also was our sommelier for the weekend, introducing us to all the delicious wine varieties from La Crema. Katerina from Diethood. What can I say? She’s gorgeous. Even first thing in the morning. We all hate her for that, but her personality makes you just want to sit by her and hear her talk! She is originally from Macedonia and I love her stories of family. But also? She made us this side dish with our Certified Angus Beef steaks on the last evening. It’s like a tzatziki soup, and it’s freaking delicious!!! 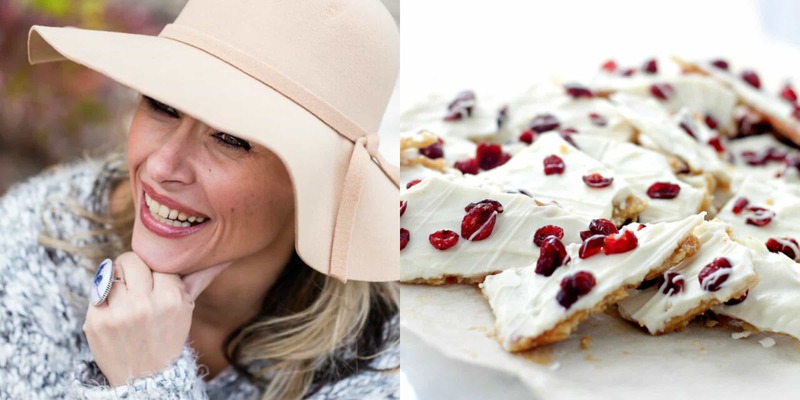 I’ve also been wanting to give her Cranberry Bliss Toffee recipe a try this holiday too. It looks and sounds amazing! Katrina from In Katrina’s Kitchen. I’ve met Katrina already, and was so looking forward to once again spend some time with this sweet girl. Plus, I knew she would be bringing lots of Biscoff and who wouldn’t want to be BFF’s with the biscoff lady? Her Biscoff Cookbook is amazing, and I’ve used it several times to make “nut free” treats for parties! I’ve totally been eyeballing her Candy Cane Steamers recipe for nearly two years, and I can’t wait to finally make it this holiday! Erin from Dinners, Dishes, and Desserts. Another sweet girl that I’ve already met in the past. And she was so awesome in organizing this retreat! Helping secure some great sponsors who value bloggers and what they do to create their businesses is no easy task. But she excelled! I know you guys will love her blog, because she is the source of those amazing Zucchini Muffins we all rage about here! Her blog is one of my go-to sources for easy dinner recipes too! 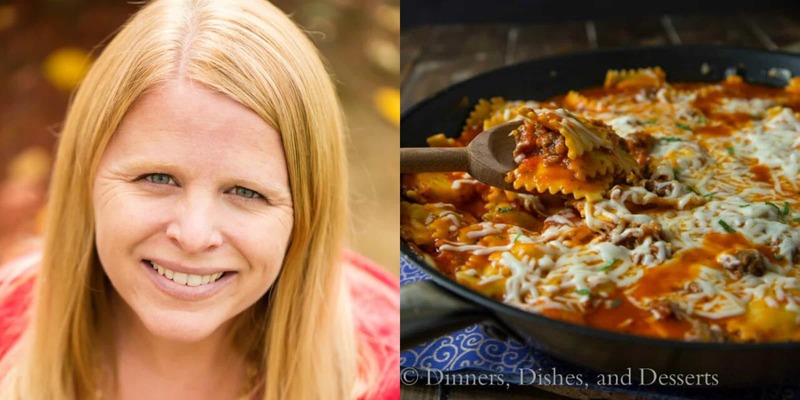 Her Quick and Easy Skillet Lasagna recipe is on our menu for dinner next week! Toni from Boulder Locavore. Last but certainly not least! Toni had no idea what she was in for when she signed up for this retreat and then within an hour of arriving to the house had me busting my way into her room. We shared a room for the weekend, it was the kid’s suite (fitting? You decide, bwahaha)! 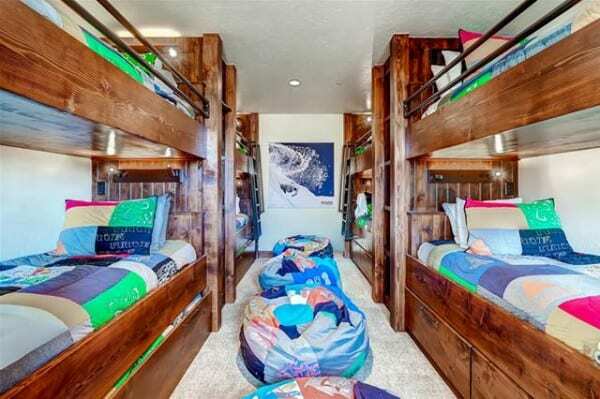 It had 4 sets of bunkbeds and 2 trundles, and Toni was sweet enough to allow me to bunk in there. We realized we have so much in common and staying up chatting was one of those things! But not too late…haha, we are both morning people who love our cup of joe! 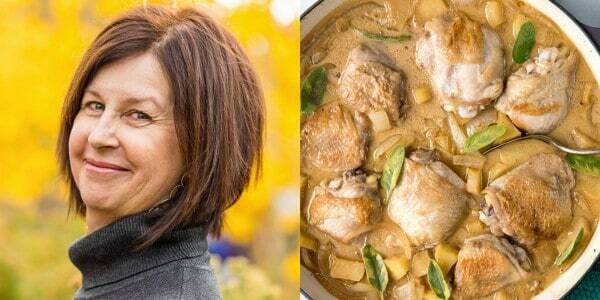 If you love fresh, local, seasonal food, Toni’s blog is bursting with delicious recipe ideas. Personally, I can’t wait to make this Cider-Braised Chicken recipe for dinner soon! Well. There you have it. So many awesome blogs to follow, with so many delicious recipe ideas! We’ve also created a fun Pinterest Board, Recipes You’ve Gotta Make. Here you’ll find some of our favorite meals and desserts! Follow us there for daily inspiration! Follow Shugary Sweets’s board Recipes You’ve Gotta Make on Pinterest. Also, a big thank you to all our sponsors for the weekend. Without them, it couldn’t have happened. Please take a minute to stop and visit them! haha, I love your sass 🙂 I’m so glad we got to meet and hang out!! See you soon my friend! AW! I LOVE THIS! We had one amazing weekend! I can’t wait to see you again in a couple weeks. LOVE YOU!! Am so envious of you awesome, beautiful and talented women!! As well as the blast you all had together. How do I get in on these excursions?? 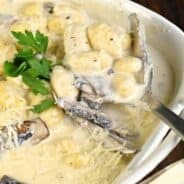 Started following food blogs in March, while recovering from a very serious surgery. Well, have filled 20 binders with recipes, need to get MORE binders, and subcategorize!Rekindled my passion for all things good and am so appreciative of the wonderful people I feel connected too. YES, I immediately went and subscribed to the few new blogs I had just heard of through your blog. Thanks! LOVE these round ups!! I always adore finding and “meeting” new bloggers!! so fun! I already knew some of these ladies (and adore them and their blogs!) but there’s some new blogs for me, too so yay!!!! I’m so glad you were there too 🙂 I love hanging out with you and learning from you! Can’t wait to see your face in a couple weeks! The retreat was seriously what the doctor ordered! I came back refreshed and inspired! I was seriously impressed with you Aimee! You are so darn calm and organized. You have truly inspired me. Thank you for sharing my blog with your readers. Miss you all! Oh my goodness you flatter me 🙂 I’m impressed and inspired by you!!! What a fun weekend we had!! I love this round up and everyone in it! See you again next week! Love this post, its always fun to find new blogs! Love this! 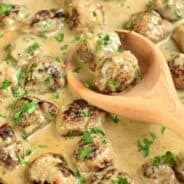 I’m always looking for new recipes! YAY!